Pets are trying to save the day in awkward ways, but no matter what they do, we can’t be upset, they are adorable even when they mess up everything. 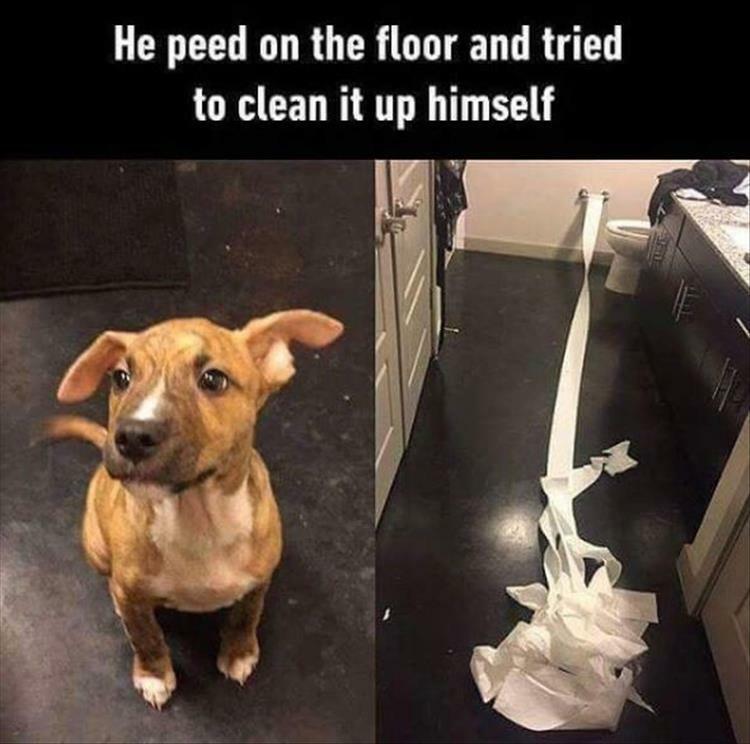 Just like this little fellow that peed on the floor and tried to clean it up himself, there are thousands of animals that are putting their owners in difficult situations as we speak. However, we can’t be mad, they brighten up our days and eat the leftovers we are so exhausted to clean up after a hard day at the job. That’s why we love them, and they love us back! To honor this beautiful feeling, we’ve gathered 20 photos that show the cuteness of animals in hilarious situations. Check them out!